It is a very large kingfisher, measuring 35 cm in length. The adult has a green back, blue wings and tail, and olive-brown head. Its underparts and neck are buff. The very large bill and legs are bright red. 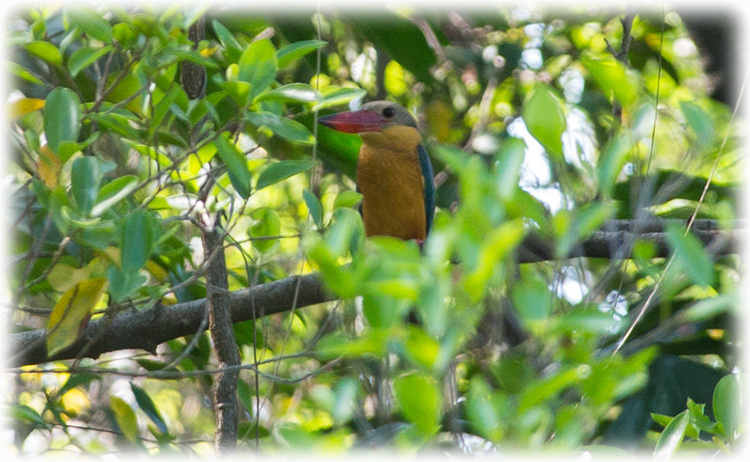 The flight of the Stork-billed Kingfisher is laboured and flapping, but direct. Sexes are similar. There are 13 races or subspecies, differing mostly in plumage detail, but P. c. gigantea of the Sulu Archipelago in the Philippines has a white head, neck and underparts. 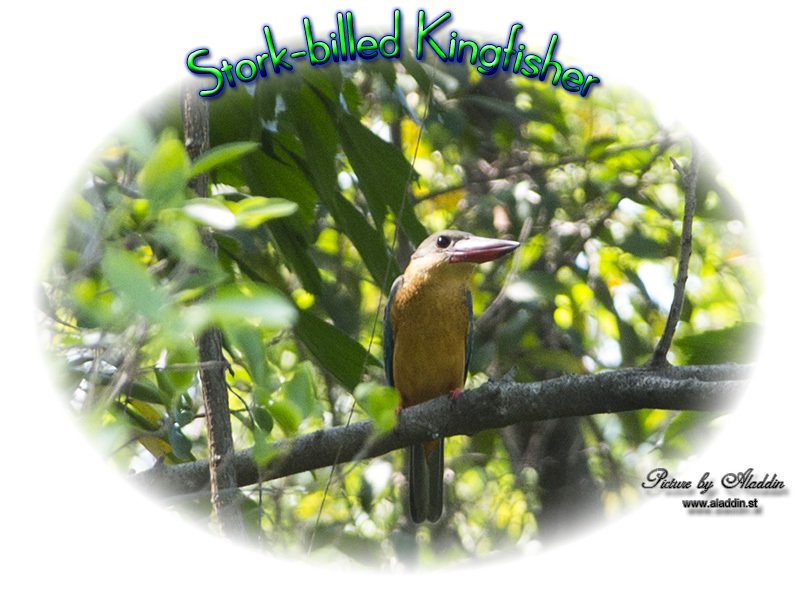 The call of this noisy kingfisher is a low and far reaching peer-por-por repeated about every 5 seconds, as well cackling ke-ke-ke-ke-ke-ke. 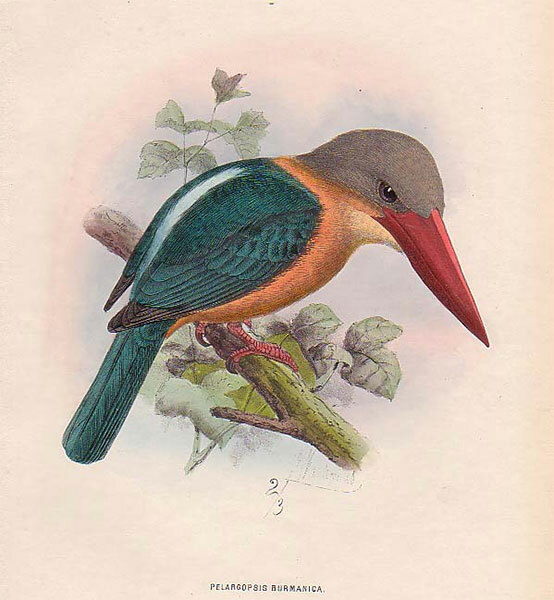 The first formal description of the Stork-billed Kingfisher was by the Swedish naturalist Carl Linnaeus in 1766 in the 12th edition of his Systema Naturae. He coined the binomial name Alcedo capensis. Linnaeus based his description on Mathurin Jacques Brisson's "Le martin-pescheur du Cap de Bonne Espérance". 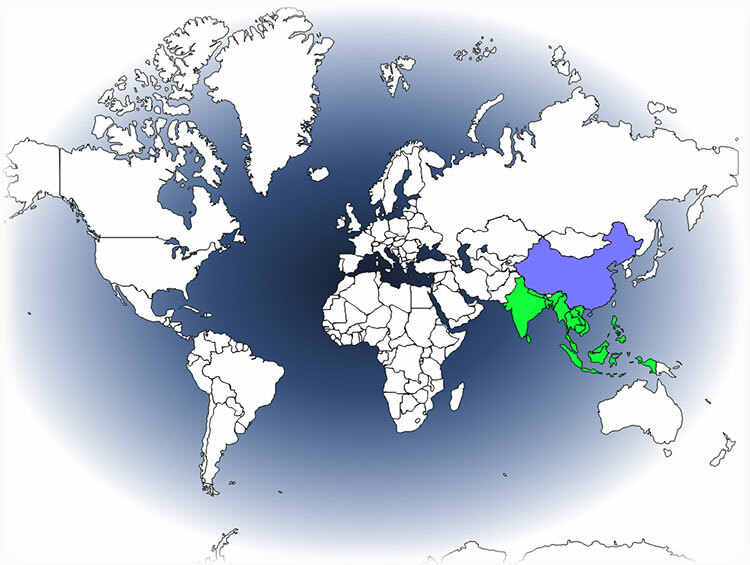 Brisson believed his specimen had come from the Cape of Good Hope region of South Africa. 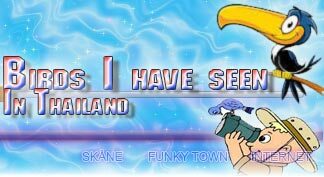 The species does not occur in Africa and it was suggested that the specimen had been obtained on the Indonesian island of Java. The specimen is now known to have come from near Chandannagar in West Bengal, India. Linnaeus's specific epithet capensis denotes the Cape of Good Hope. The current genus Pelargopsis was introduced by the German zoologist Constantin Gloger in 1841.